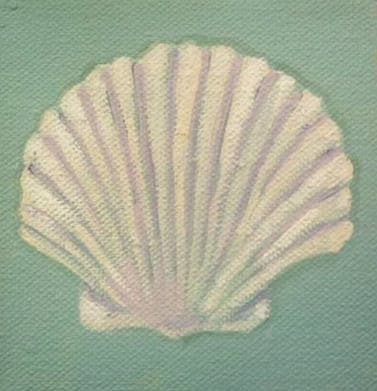 A sweet simple scallop shell in pleasing colors. Glitter has been added which is stunning! Each card measures approx. 4" x 5" and comes with a matching envelope in a cello sleeve. Convo me if you'd like more than one. I so much like your card, this time I might keep it for myself, it is so beautiful to look at and enjoy Thank You so much! I appreciate your work very much! !